Choose if you want to upload a picture, take a picture with your phone/web camera, or use one of our models. Zoom, rotate and/or move the image to ensure your face is centered. Click continue to confirm image and see how the frame will fit. Click continue to confirm image and see how the frame will fit. Our Virtual Try On system attempts to location your pupils in the image you provided, but sometimes has trouble. If this is the case, simply align the orange circles with your pupils and click continue. This is the standard eyeglass prescription where the lens has one focal point and a single prescription across entire lens surface (can be produced to provide clear view of distant or intermediate or close objects). This option does not have a prescription. This lens is recommended for fashion or daily wear. A progressive lens has multiple focal points in a channel over the pupil, which corrects vision for all focal points including distance, intermediate, and near. Progressive lenses are also known as no-line bifocals, as they do not have any lines that show on the lens. If you need a prescription, check out if you are eligible to get an online eye exam. If you are already qualified, just select your name from the list. If you have a valid prescription, simply select the “I have a prescription. I will manually enter my prescription” option and fill the information. If you already saved your prescription or want to use the results from your previous online eye exam just select your name from the list on the right. I have a prescription. I will manually enter my prescription. What is the Cylinder Measurement? The Cylinder (or CYL) signifies the strength of the correction for the astigmatism in the eye. It can be either positive or negative. If there is a Cylinder value assigned to that eye, there must be an Axis value as well. If there is no astigmatism in that eye, it will be noted with a “DS” or “SPH” in the Cylinder space. If that is the case, enter 0.00 in both the CYL and Axis. Where can I find my Cylinder Measurement? The Cylinder measurement can be found between the Sphere and Axis measurements as shown below. What is the Sphere Measurement? The number under the Sphere category of your prescription refers to the refractive correction in the prescription. If there is a minus (-) sign in front of the number it refers to being nearsighted, and a plus (+) refers to being farsighted. If you see the word “Plano” or a “PL” in the sphere column, you should select a value of 0.00. OD-SPH is the spherical correction for your right eye. OS-SPH is the spherical correction for your left eye. Where can I find my Sphere Measurement? What is the Axis Measurement? Axis section of your prescription refers to the angle of the correction for the astigmatism in the eye from 1 to 180. Just as with the Cylinder measurement, if there is an Axis value in one eye, there must be a Cylinder value on that eye. If there is NO Cylinder value or if the value is zero, the OD Axis value entered is 0. Where can I find my Axis Measurement? The axis measurement can be found between the Cylinder (or CYL) measurement and Prism or Base measurement as shown below. What is the PD (Pupillary Distance)? PD stands for Pupillary Distance, the distance between the pupils of the eyes. It is measured from center to center, in millimeters. You can measure this on your own or with a friend. For single vision reading glasses, you will need a near PD which is calculated by subtracting 3mm for from your PD. Prescription lenses have an optical center. The Pupillary Distance insures that the optical centers are aligned properly in front of the eyes. What is the NV-ADD Measurement? Sometimes written as "NV-ADD" this number indicates the near vision addition needed to make the reading portion of your multi-focal eyeglasses. You will only have this value on your prescription if you need multi-focals. Where can I find my NV-ADD measurement? The NV-ADD measurement is either under the main portion of the prescription, like below. Or next to the axis measurement. Your NV-ADD measurement is almost always the same for both eyes. You have entered both positive and negative SPH values which are highly unusual. If you are sure about your entries, click OK. Otherwise, click Cancel to edit your entries. Both OS CYL and OS AXIS must have a number or both must be 0. Please check your entries. No NV-ADD Value was entered. Please check your entries. Usually your NV-ADD power is the same for both eyes. Please take another look and confirm that the NV-ADD values are in fact different on your prescription. No PD Value was entered. Please check your entries. Your PD is less than 46 mm. This is very unusual. We suggest you confirm your PD. Your PD is greater than 74 mm. This is very unusual. We suggest you confirm your PD. We apologize, but the PD value entered is too large for the selected frame. We apologize, but the PD value entered is too large. We apologize, but the RX value you entered is too large. All of the values are 0.0. 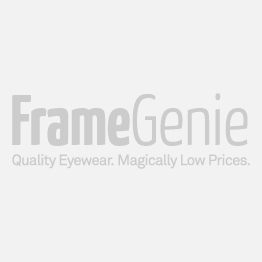 Do you want to order lenses without a prescription? Please confirm your prescription details. NV-ADD missing. Please confirm your prescription details. Please select an option under prescription. To continue, please select "Qualify for vision test". To continue, please select an option from your saved prescription. You have not selected a lens. Please select a lens first. You have not selected any additional option. Please select "None", if you do not want any additional option. You have not selected lens coloring option. Please select a lens coloring option of your choice. Your studious little helper will look dashing while sporting a splash of color with these matte rectangular plastic frames in either black & pink or blue. Comfortable and lightweight, they will always have them looking A+.